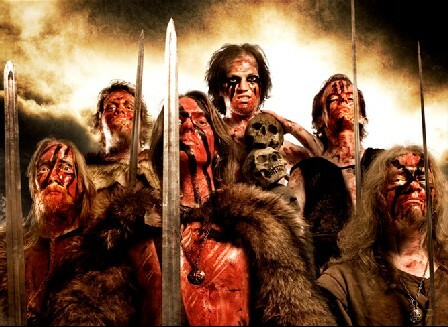 Turisas is a Finnish folk metal band founded in 1997 by Mathias Nygård and Jussi Wickström and named after an ancient Finnish God of war. 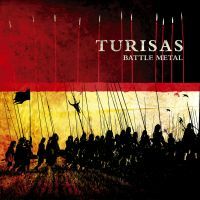 In addition to a few demos, Turisas have released two full length albums : Battle Metal in 2004 and The Varangian Way in 2007. Battle Metal is a story of various fights and influential song and The Varangian Way is a trade route from the North down to Constantinople used by Varangians. The epic story of the vikings is reflected in a good atmosphere in this album. In July 2006 George Laakso had to quit the band because of severe injuries which were inflicted by a terrible car crash. This lead to the band only having one vocalist for their new album The Varangian Way in 2007 and a guest one being introduced.